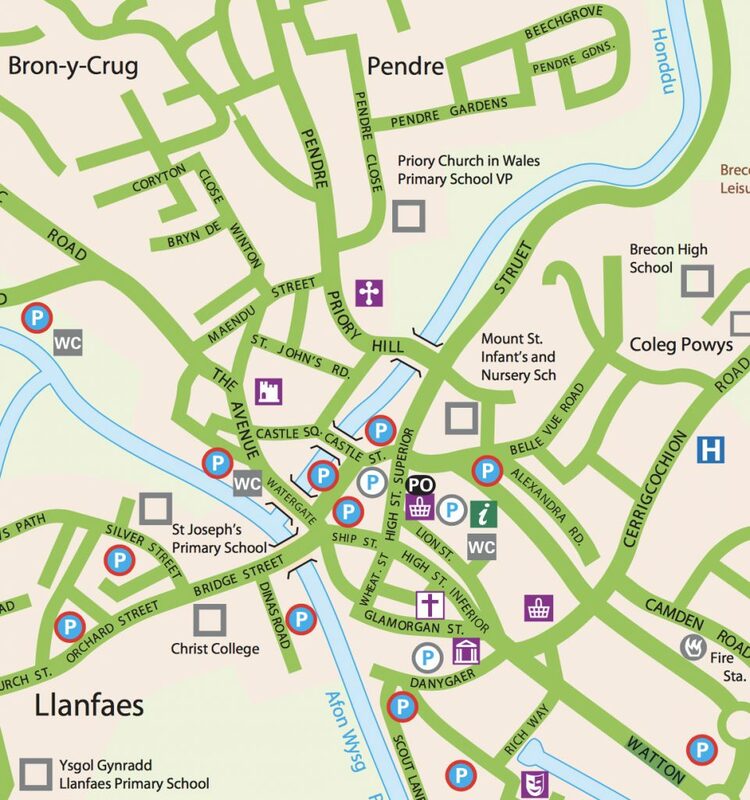 There are twelve car parks in Brecon. George Street, Inner Viaduct and New County Hall car parks are short stay (Two hour) car parks for motorcars only. Alexandra Road, Outer Viaduct, Market Street, Kensington, Dinas Road, Scout Lane and Canal Road car parks are long stay car parks for motorcars only. The Watton car park is a long stay car park for motorcars and motorcars with trailers only. Promenade car park is a long stay car park for all vehicle types. A Coach and Lorry car park is situated on Canal Road. *Please note that most of the car parks are free for disabled blue badge holders when displayed correctly.